BEIJING, May 11 2018 (IPS) - There is growing recognition that regional cooperation is a crucial driver of growth. We should now also recognize if regional trade networks are to yield the intended benefit of inclusive growth, then there needs to be a strategic vehicle for development that can be scaled. The China Belt Road initiative is an example of an ambitious regional cooperation programme that includes benefits for many other countries in its development plans. The initiative's planned $150bn investment over the next five years is an opportunity for sector specialists across development institutions to work together even more closely. More importantly, the initiative should complement the work of other regional cooperation efforts. Its importance lies in that the scheme offers an opportunity for GGGI and Asian Development Bank (ADB) member countries to narrow the inequality, technology and poverty gap by improving trade among themselves. The scheme also shows us that the prospects of a sustainable future rely heavily on countries working together. The initiative’s planned $150bn investment over the next five years is an opportunity for sector specialists across development institutions to work together even more closely. More importantly, the initiative should complement the work of other regional cooperation efforts. Some key examples of current regional partnerships are the Eurasia Initiative, Partnership for Quality Infrastructure, Steppe Road. 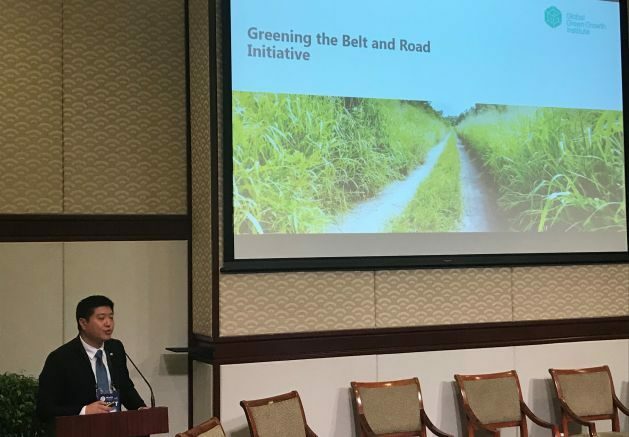 The Belt Road Initiative stands out because it is bold, it intends to connect Central Asia, Southeast Asia, Europe, the Mediterranean and the Persian Gulf in a single strategic and more closely coordinated network. The recent increase in regional trade between countries in the Asia region presents some opportunities. This makes the introduction of green technology to the Asia-Pacific region crucial. Manufacturing of new technologies can help tackle structural distortions in Pacific Island countries. These economies are dominated by agriculture, fisheries and tourism. South-South collaboration will assist in this spread of technology across the region to benefit countries that will start from a very low green technology base. China for instance has emerged as aworld leader in the manufacture and use of clean energy technology. The energy sector’s growth will not only cater for energy needs, if low carbon energy is introduced it will generate positive spin-offs in regions and communities where they are hosted. The sharing of knowledge between countries in this respect is a catalyst that can be used to fast-track growth in the green technology sector in countries that are lagging behind. Research shows that Asian economies are deeply intertwined. This interdependency has been forged by supply chain activity that has extended to financial industries and regional infrastructure networks. An efficient regional economic network will make the collaboration between GGGI, ADB and other development stakeholders in countries like Georgia much easier. It will make it easier for the government of Georgia to improve the security and stability of its electric power systems. Another important opportunity for shared learning that avails itself is the GGGI-ADB partnership in Mongolia. Increasing investment in the country’s mining sector will slowly translate into an increase in energy demand. We have to anticipate these developments in the regional economy. It is important that countries have a long term vision in their environmental sustainability policy approach. This involves the introduction of green growth guidelines into development planning policies. For these guidelines to be effective their use must be scaled up to include local, provincial and national plans. It is important to understand is that the local government level is crucial as it is at the frontline of climate change planning. The next important point for our collective consideration is how to increase socially and environmentally beneficial investments to the region and its partners. Here we have to think of ways of growing the green bonds market. Growth in this market has proved to be an essential source of funding for programmes aimed at eradicating poverty and meeting the SDGs. The Asian region should continue being among the leading regions that invest in green bonds. To stimulate growth in the sector we must remove barriers such as higher administration costs for green bonds. Another area that requires focused attention is the task of harmonizing Green Bond Principles (GBPs) that guide issuers about environmental benefits. There has to be synergy between the widespread adoption of GBPs and the development of a framework that will make them available in local currencies. The aim is to make green bonds more attractive to investors. I need to re-emphasize what makes responsible investment important. I’m convinced that responsible investors have an eye for solutions to the under employment and gender disparate labour market of the region. The Pacific Island Countries are in a precarious situation because climate change could reduce tourism revenues considerably. This impact is expected to add to the numbers of migrant labourers, many of whom are women already disadvantaged by the labour markets. The urgent task for us is to take advantage of the opportunities that mainstreaming green growth will avail. Regional cooperation is central to scaling up the impact of inclusive green growth. Increased South-South cooperation on the basis of the shared objective of attaining environmentally sustainable economic growth will assist in the attainment of the SDGs.